I like tuna salad. I just don’t like all the fat that comes along with it. 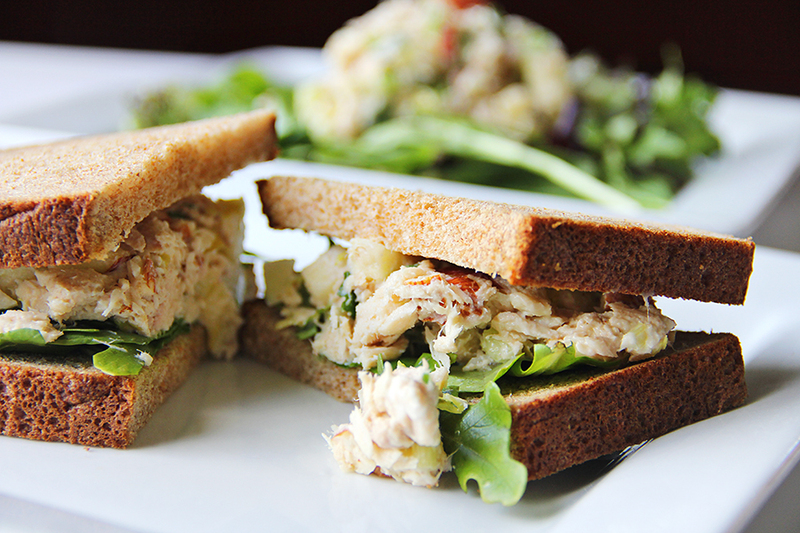 For example, According to the menu at Subway, a tuna sandwich has over 400 calories and 20 grams of fat. That’s not even including cheese or additional mayo. 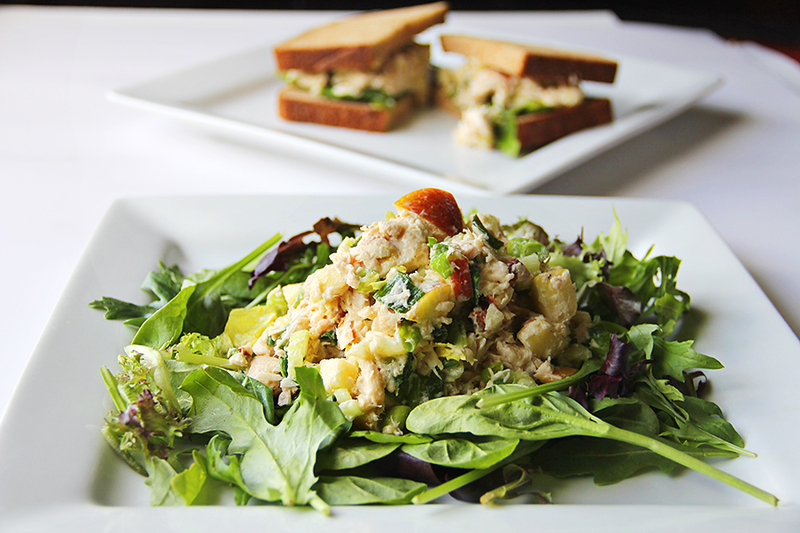 This healthier lighter version of tuna salad is quick & easy to make. 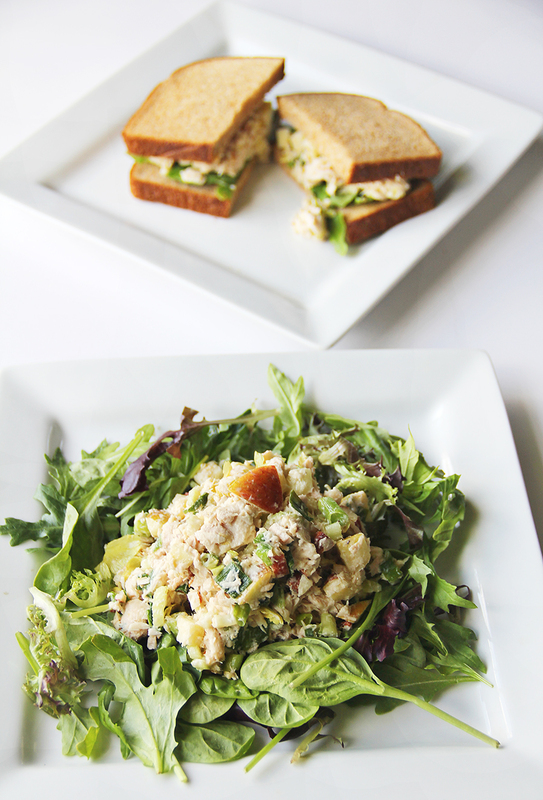 Leaving you feeling satisfied and guilt free with TONS of protein from the tuna & the nuts. If you are looking for a low fat, low carb or gluten free meal you can eat it on a bed of greens. Otherwise it is fantastic on two slices of bread or in a wrap. 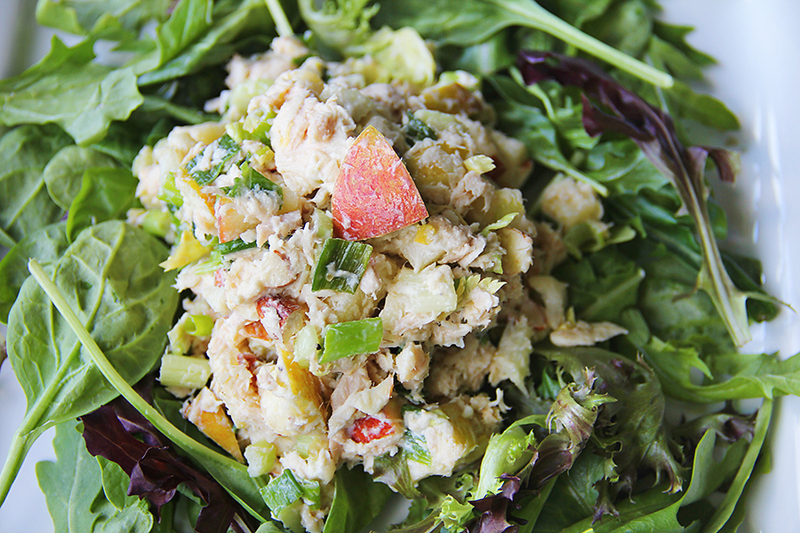 This is such a healthy & satisfying tuna salad recipe. Very light on the mayo and bursting with fresh ingredients. You can use any nut you would like.. I have made this before with walnuts and it was great. I just happen to have an abundance of almonds at the moment so I am using those. Whisk together the mayo, dijon, lemon juice salt & pepper until combined. 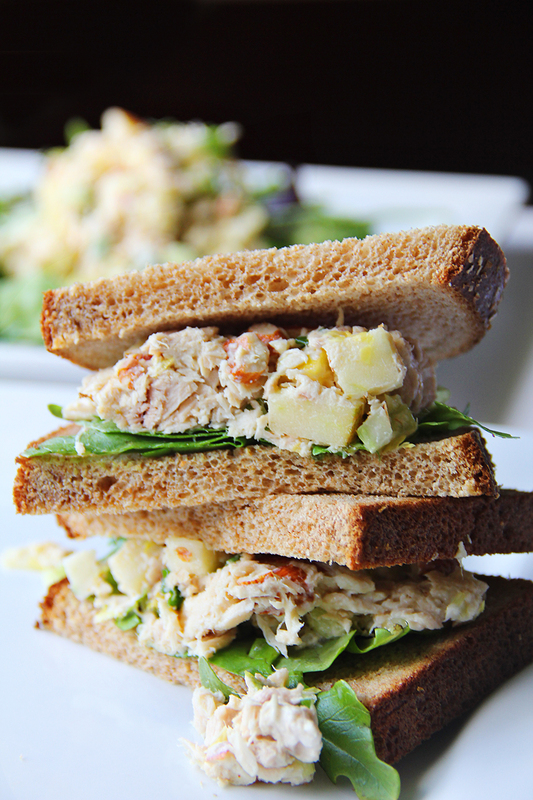 Add the tuna, apple, celery, green onion & almonds. Mix everything together to combine. Allow for the flavors to come together before serving. 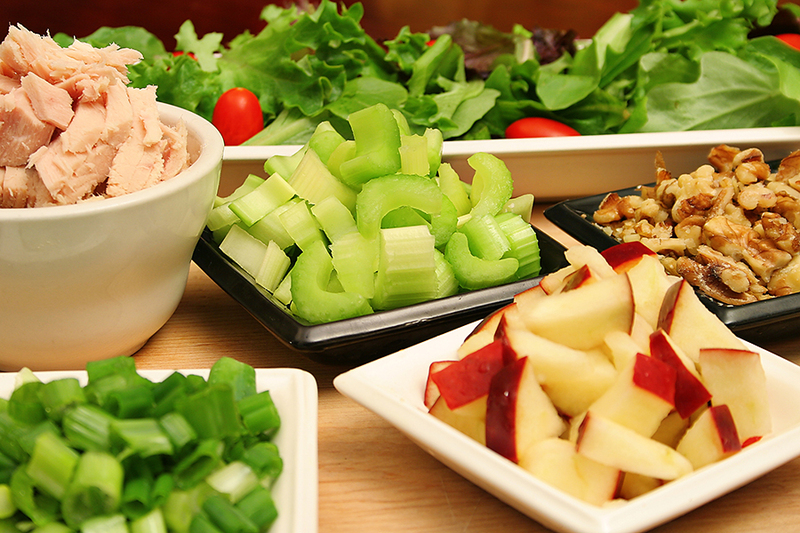 Serve on a bed of organic greens, whole wheat bread or in a wrap. or place on a bed of beautiful organic greens for a low carb hi protein meal. Here are the ingredients: Albacore Tuna (not the $.69 cheap stuff) Apple, celery, green onion, nuts of your choice, fresh lemon, dollop of good quality mayo, dijon mustard, salt & pepper. It taste even better the next day. YUM!!! !